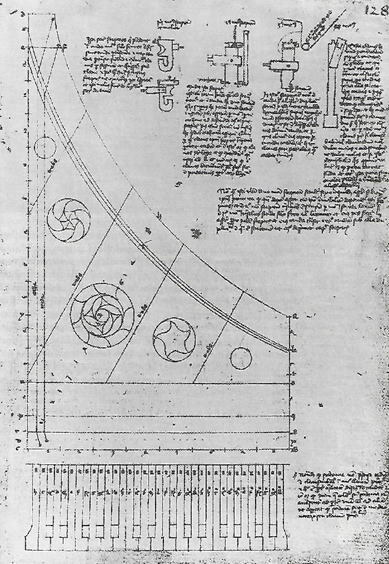 Henri Aｒｎaut, born either in the end of 14th century or the beginning of 15th century in Zwolｌe of Flanders, studied in Paris, then worked in court as a physician. He died in 1466. 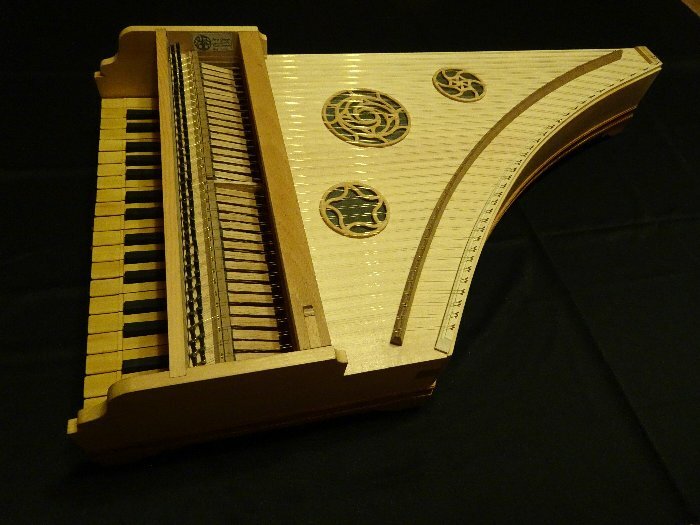 In about 1440, he made a drawing of harpsichord shaped keyboard instrument with four different speaking actions. As John Lester interpreted, the four speaking actions include a harpsichord like plectra and three of piano like hammer actions. It is hard to imagine a single instrument which is equipped with all four different actions. However, it is not clearly understood which one or two of the four, Arnaut implemented in an actual instrument. Percussion string instruments are called in variety of names such as Dulcimer, Psalter, Salterio, Tympanum, Kanun, Santur, or Cymbal. Among them, the name of Cymbal reminds some relation with Clavisimbalum. Then, apart from making an exact copy from Arnaut’s drawing, an instrument with selectable speaking actions of plectra and hammer was made.